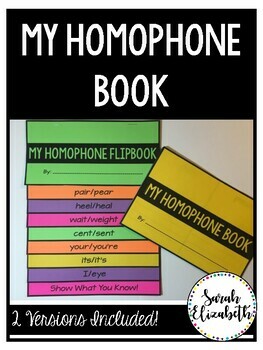 This is a book that students can create to show what they know about homophones. Each page includes a pair of homophones, a line for a sentence or definition, and a place for an illustration. 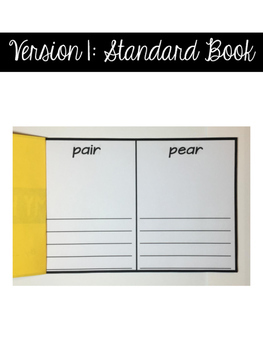 The pack also includes a blank page for teachers to add their own homophone pairs! This is a great activity for whole group, small group, or literacy center learning!